Welcome to our website. We hire out good-looking, vintage style photobooths for weddings, parties and events. Our photobooths are hand-crafted with love and look awesome anywhere. Our photobooth set up is 'open-air', meaning we set up a mini studio and you can fit a LOT of people in the frame. No sides or walls = more people and therefore more fun in the booth! 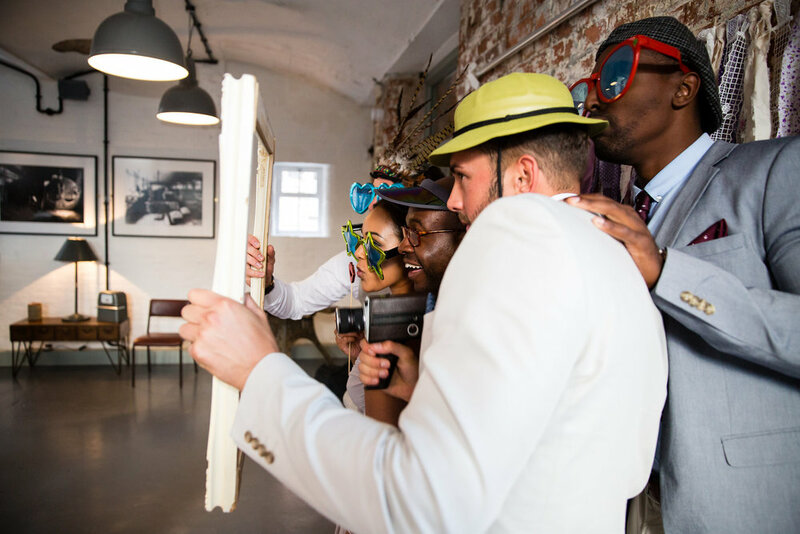 With quirky props, a wide choice of backdrops to match your colour scheme/style, AND a super-duper photobooth attendant, your guests will love what we do. Don't take our word for it. Have a look at what our clients say about us. We cover areas such as Derby, Nottingham, The Midlands, London, Bristol and beyond!